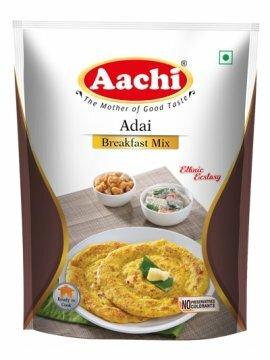 AACHI ADAI MIX is delicious, spicy and health. 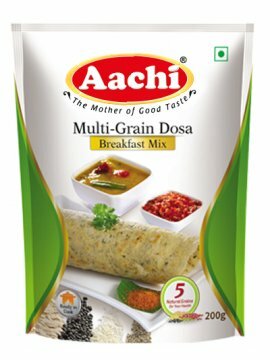 It contains Greengram Dhal,Toor Dhal, Urid Dhal, Bengalgram Dhal, Soya, Rice, Red Chilli, Pepper, Cumin Seeds, Fenugreek and Salt.Method of preparationTa..
PreparationWash 300g of chicken pieces and keep aside. Heat oil to fry chopped onions until golden brown. Add chopped tomatoes and fry until soft. 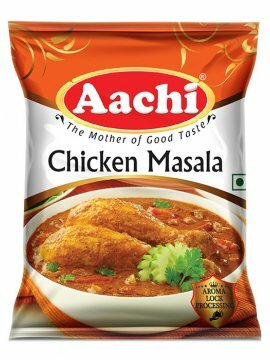 Now add Aachi Chicken Masala and cook till oil separa..
PreparationThe best quality Red Chilli is choose from the field, cleaned, powdered and packedhygienically. 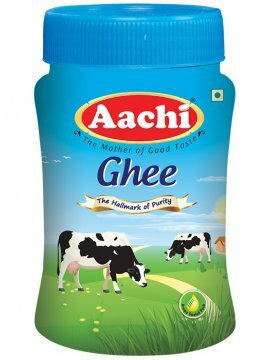 The Packing is tamper proof that helps to increase the shelf life and keep the aroma for..
Aachi Gulab Jamun Mix , is a special sweet of all times that contains Maida, skimmed Milk Powder. 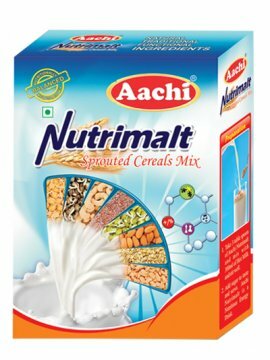 Edible vegetable fats.Method of preparationAdd ¼ measure of water to one portion of Aachi gulab jamun ..
PreparationAachi Nutrimalt is a Nutritious Health Drink.Take 3tbsp of Aachi Nutrimalt mix in a glass. Add 300ml of hot water/hot milk and stir well. Add sugar to taste and serve hot. 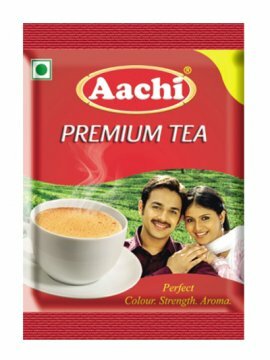 Now tasty Aachi N.. Preparation Soak 160g of dhal in 250ml of water and pressure cook for 10 minutes f.. 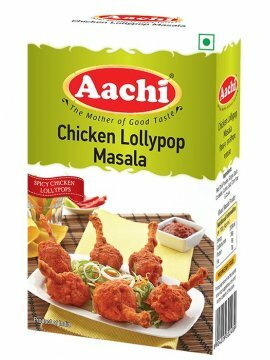 Method of Preparation (Servings: 4-5):Take 2 egg white, add 2 spoon (20g) of ginger garlic paste and 50g of Aachi chicken lollipop masala and mix it well. 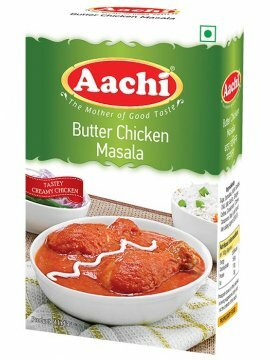 Apply the paste to 800g of clean chicken loll..
PreparationBest quality grams are procured from Indian fields. The mature Gram grains are cleaned using modern equipment with state – of – art Technology. 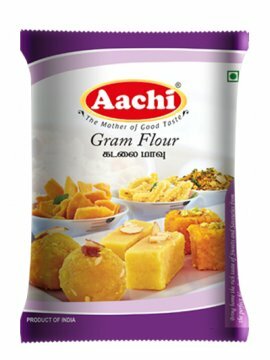 Aachi Gram Flour may be used to prepare.. 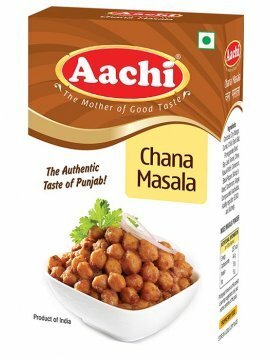 Ingredients:Pearl millet, Finger millet, Sorghum, Parboiled rice, Maize, Wheat, Whole green gram, Soyabean, Groundnut, Cashewnut, Almond, Sago and Cardamom.Preparation:Take a glass of milk (200ml). Mi..
Jalebi is an extremely popular sweet dish in India, originally from Iran. 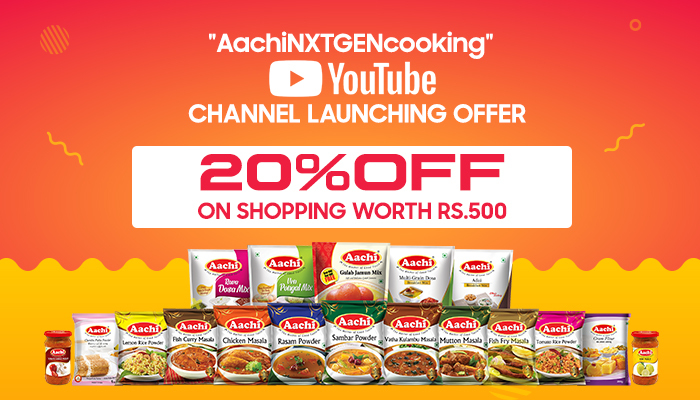 Aachi Jalebi mix brings the convenieince of instantly preparing Jalebi premix, ready to cook. Healthy Jalebi Mix, 100 % natura.. 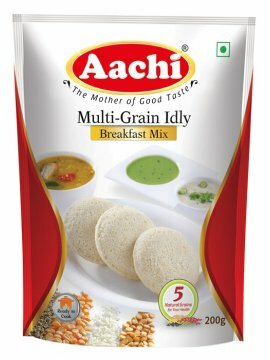 Ingredients:Black gram,Rava, Rice flour, Millet, Bajra, Corn, Salt, Raising agent (E 500 (ii)) and Acidity regulator (E 296).Cooking Direction: Mix contents of the pack (200g) in ¾ tea cup (200ml..
PreparationHeat oil in a kadai, add mustard seeds, urad dhal, dried red chillies, curry leaves, sliced tomato and saute.Then add 20g rasam powder. Mix well. 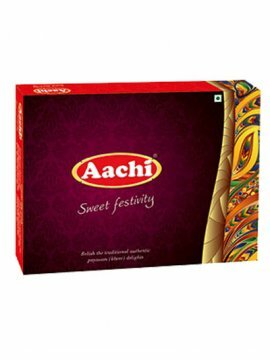 Add one litre water and allow it to cook fo..
Sweet Festivity - Gift Box.. 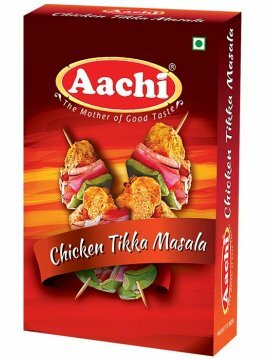 Method of Preparation (Servings: 4-5) :• Mix 100ml of curd and 2 tbsp of Aachi Chicken Tikka Masala and 2 tbsp of oil to form a smooth lump free paste.• Adjust the salt to taste.• .. 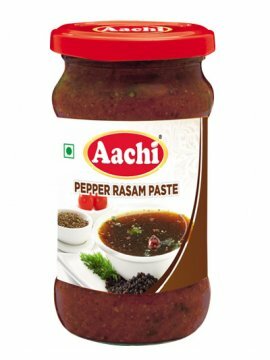 Ingredients:Cumin powder, Salt, Coriander, Chili, Turmeric, Pepper, Star anise, Clove and Curry leaf.Method of Preparation:Grind 2 onions, 2 tomatoes and 2 green chilies to a fine paste. 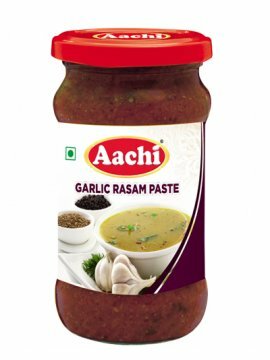 Sauté the gro..
Garlic rasam is best enjoyed when served with a steamed rice, papad, poriyal and a delicious chutney. Try it during a winter and see how your body heats up from inside! 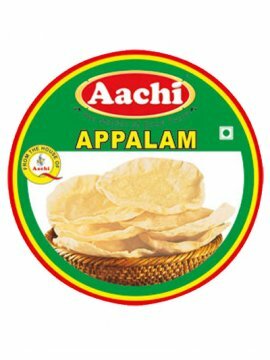 This spicy South Indian fare is..
PreparationAachi Kulambu chilli powder may be used for Fish curry, Dry fish curry, Egg curry, Tamarind curry, Kara curry, Fenugreek curry. 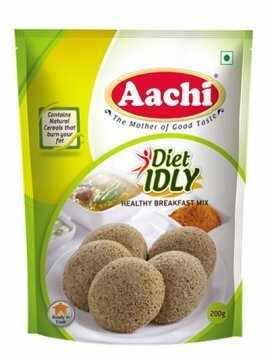 Ingredients Chilli, salt, coriander, pepper, Fenugreek, cumin..
Mutli Grain - Dosa Evergreen test the breakfast, lunch and tea time, Easy, Delicious & Healthly..
PreparationTake 500g of Aachi Puttu powder in a dry bowl, add required amount of salt and mix well. Add 350ml of hot water to the puttu mix and blend well. Pass through sieve. 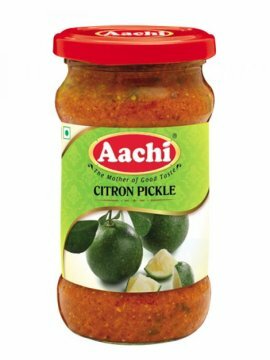 Put the contents on the ..
On special occasion at home, payasams are prepared , which takes lot of your precious time. 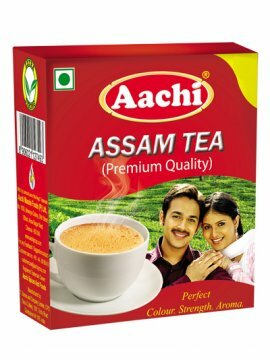 But now, with Aachi semiya payasam mix, you only need to have milk at home. 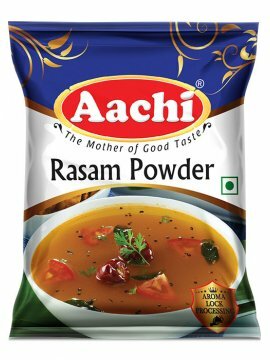 You can have instant payasam in ..
PreparationTake 500g of Aachi Chemba Puttu powder in a dry bowl, add required amount of salt and mix well. Add 350ml of hot water to the puttu mix and blend well. Pass through sieve. Put the contents ..
PreparationHeat oil in a pan, add onions and fry till golden brown.Add ginger garlic paste and saute well. Then add tomatoes. 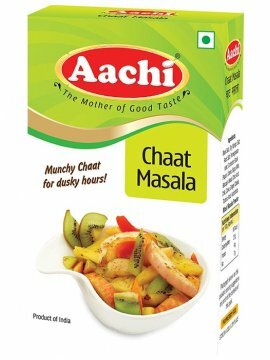 Add Aachi Curry Masala powder and cook well. 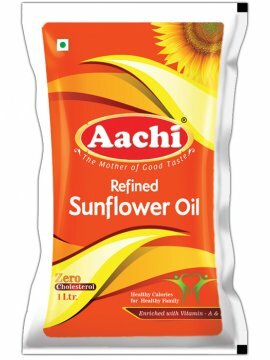 Add 400ml of water, coconut p..
PreparationHeat oil to fry onions, peeled garlic, curry leaves, tomatoes and cook well. 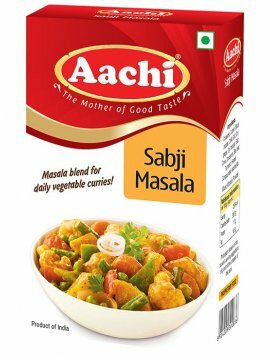 Add Aachi Fish Curry Masala, 400ml of water, tamarind pulp, Coconut paste, 150ml of water and finally add 250g o..